There are many topics we need to cover regarding our health, aside from the essential physical activity our body requires to function. In our house we’re up at 6am weekday mornings with the option to sleep in ‘till 8am on weekends. Well, I have that option. My husband can’t sleep in past 6am, that’s just how his circadian cycle works. And anyone with kids (not teens) can attest to the fact that as difficult as it is for them to get up early on school days, for the life of them, kids cannot sleep-in on weekends. For us to get close to eight hours sleep a night we need to be in bed before 10pm. It’s usually my fault that we get to bed so late. Once the kids go to sleep and I’ve got my chores done I like to work on my blog or research or do something or other, just to have some creative time to myself. But before I know it it’s half passed ten or eleven – so much for our eight hours sleep. Actually, you do need eight hours of sleep a night. This is not about being unique or getting away with less, because in truth you’re not getting away with anything – in the end it may well be that it is your health that is getting away from you. It has been scientifically proven that by not getting this required sleep we put others and ourselves at risk. Our reaction time and performance suffers, not to mention our health. Maybe you have heard this before, I know I have. But what you will find in this article are new studies that should wake us up to the importance and urgency of getting enough sleep now. Sleep is not something that we can bank and use up later or catch up on. 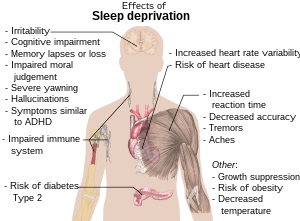 Within this article are links to others, for example if you click on “Eight Ways to Get Better Sleep” by Leslie Beck who explains the benefits from moderate caffeine intake to the problems associated with excessive amounts, you will notice a few more links embedded in the article. Such as a study, which explains why “Sleep-deprived People Eat More Calories” and if you “Want Your Children to Lose Weight? Send Them To Bed”. Each link will take you to more solid research. It is a very impressive section. I hope you will take some time to look it over.